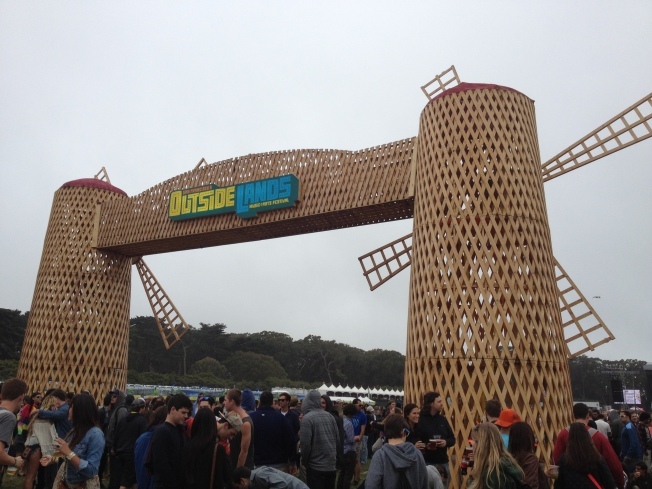 Outside Lands returns to Golden Gate Park on August 9-11, 2013. Golden Gate Park's massive annual Outside Lands festival has posted a save-the-date announcement for next year's party, to be held August 9-11, 2013. And while you have your calendars out, there are a few more key music events to mark down for next year. First up is Noise Pop, running Feb. 26 to March 3 in various venues around San Francisco. The first phase of this year's artist lineup is expected to be announced on Dec. 11. Established in 1993, it's always a reliable week to catch the pulse of indie rock. Despite the distance to the desert, Bay Areans typically flock to Southern California in the spring for the Coachella experience. The 2013 festival follows the precedent set this year, with two successive weekend events. Attention road trippers: The next Coachella events take place on April 12-14 and April 19-21. The 2012 site for Treasure Island Music Festival, produced by Noise Pop and Another Planet Entertainment, is still up, but the 2013 dates have been secured for October 12 to 13. And while next year's Hardly Strictly Bluegrass date is not yet known, don't be surprised if it falls the weekend before that. With many more music festival dates to be announced, one prediction for 2013 that can be made with certainty is that there will be no shortage of options to consider.